The cylindrical censer is sturdily potted with deep sides and raised on three short feet. 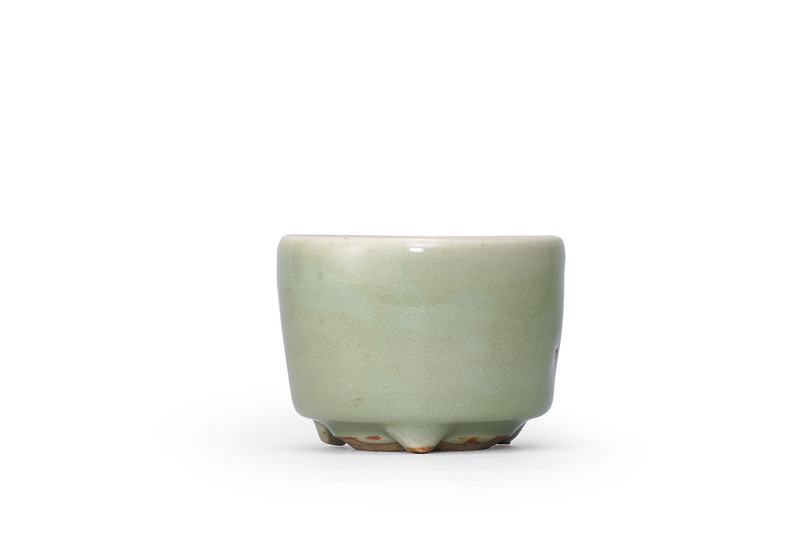 It is covered with an even sea-green celadon glaze that continues over the rim onto the unglazed interior and over the underside onto the base stopping around an unglazed centre. 3 in. (7.5 cm.) diam.